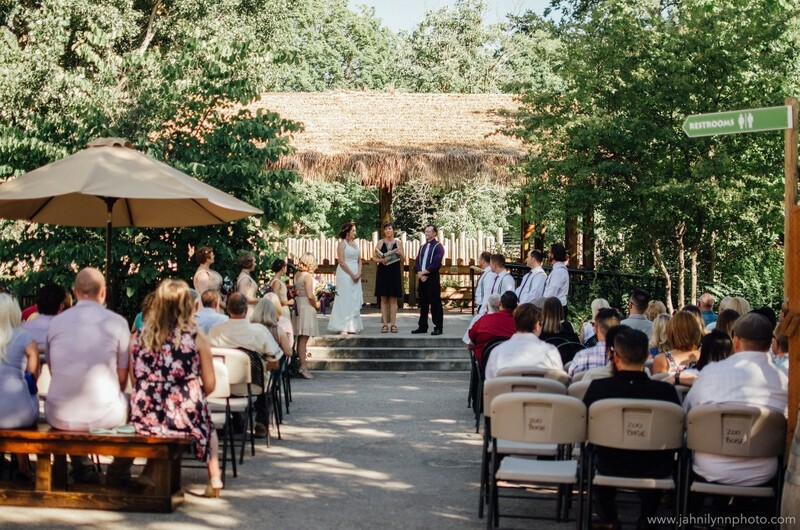 Nestled within Julia Davis Park and downtown Boise, Zoo Boise offers a unique and exotic venue for your wedding. 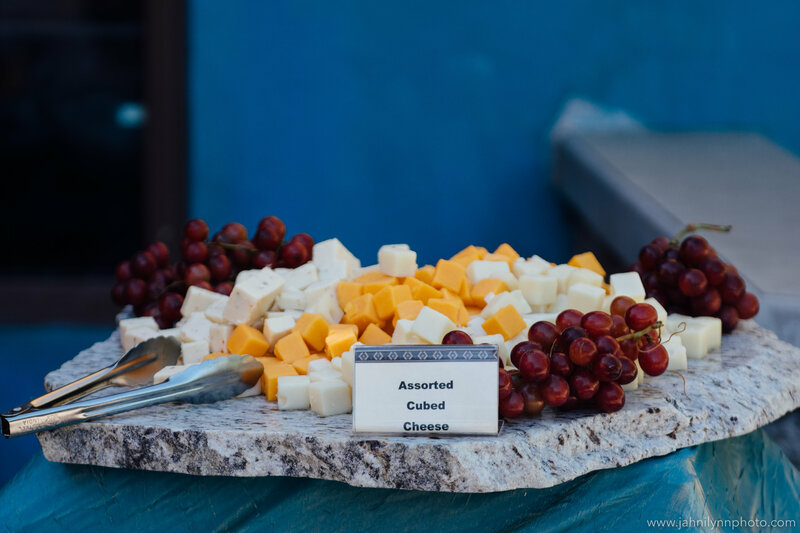 Your guests will be in awe at Zoo Boise’s natural setting, amazing onsite catering, and the personal service you’ll receive by our event staff. With one-of-a-kind exclusive animal and photo experiences at an affordable price, Zoo Boise is the perfect venue for your special day. A Zoo Boise wedding isn’t just beautiful, unique, and fun, but it helps to protect wildlife all over the world. Since 2007, Zoo Boise has generated almost $3 million to protect wildlife in Idaho and all over the world. Click HERE to learn more about our revolutionary conservation programs. For groups of more than 1,500 please consult our event coordinator. *Wedding package includes: extended rental time, private bridal tent, and a cheese board with champagne or sparkling cider (when catering is included). Wedding venue prices include all attendees ages 0 and up. Annual passes may not be applied to rental fee. All afterhour private events begin at 5:30pm and end at 10:00pm May – August. Events in September – April end according to sunset times. All prices are subject to 6% Idaho Sales Tax. Tax exempt organizations must provide ST-101 to rental coordinator at time of reservation. An animal presentation lasts 30 minutes and consists of 2 to 3 education animals that guests interact with or encounter up close. Presentations are held in a designated location specified by zoo staff. Presentations at daytime events take place at the reserved space. Specific animals may be requested, however requests cannot be guaranteed. Use of animal depends on conditions and availability. You and your guests walk along a path inside the butterfly house as the butterflies fly around, and potentially land on you (This is not an interactive exhibit – guests are not allowed to touch the butterflies). Butterflies are less active in the evening, therefore this exhibit is only available until 7pm. Unlimited rides for you and your guests on the Conservation Cruise. The cruise takes visitors across the lagoon to the African Plains. There are rotating animal exhibits only viewable from the boat. The boat holds up to 15 people and all children under 15 years old are required to wear provided life jackets. ZooTeen volunteers will paint faces and provide temporary tattoos for guests of all ages during your rental for up to three (3) hours. For one hour, you and your guests can feed our two giraffes, weather permitting. At the Zoo Farm guests can pet our zoo animals through a fence and have the option to purchase farm food for $.25. There is no additional charge to have the Zoo Farm open for your event, however if must be booked in advance and will be for a two hour period from 5:30-7:30pm. Use of zoo sound system for time allotted in rental agreement. May be used for public address or to play music during your event. Must follow City of Boise and Zoo Boise amplified sound protocols. At the discretion of zoo staff, the volume will be turned down, or the sound stopped altogether if any animal becomes stressed due to the noise. Sound permit is not required, but does insure no interruptions from other sources within Julia Davis Park. * Cotton Candy and Pop Corn are booked/invoiced separately through the catering dept. Taste of the Wild Catering provides excellent service and quality culinary creations. 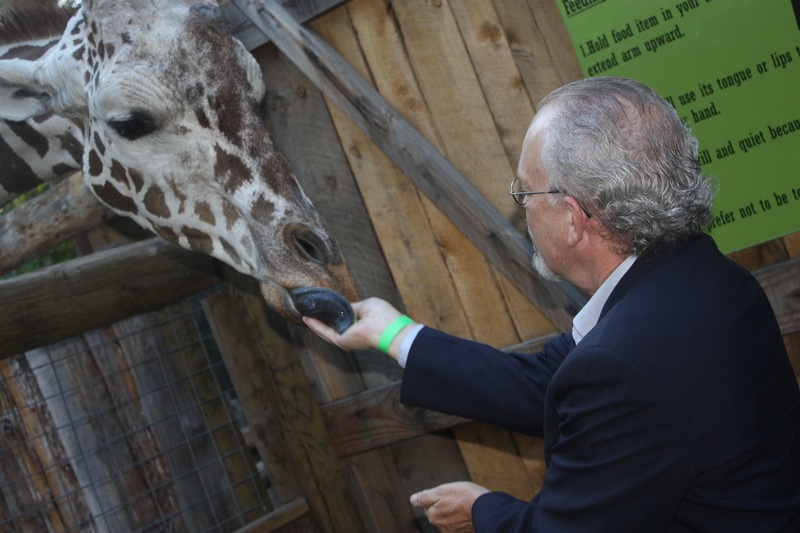 We engage our guests in a socially valuable experience through our partnership with Zoo Boise. If you are interested in possibly having your wedding at Zoo Boise please complete this short questionnaire. Once the questionnaire has been submitted, you will be notified as to whether or not your preferred date is available. If not, you will be given other options. When your date and amenities have been confirmed, a contract will be created for your review. Once agreement is in place, you will be invoiced. A 50% deposit is due at that time to secure your reservation. Remaining balance is due 5 business days prior to scheduled event. Are you interested in catering? Are you interested in serving alcohol? Are you interested in added amenities? Will you need a sound system?